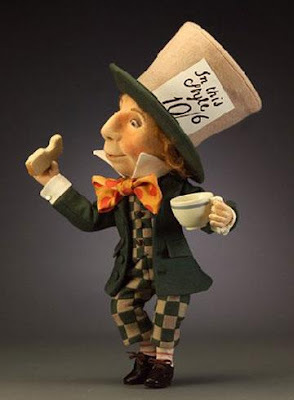 Being that I am a Hatter myself, I love the idea of not one, but TWO (10/6 in other countries is June sixth. different calender abbreviations) days of the year (not unbirthdays, those are different) set aside for all things Mad, Hat, and/or Carol. 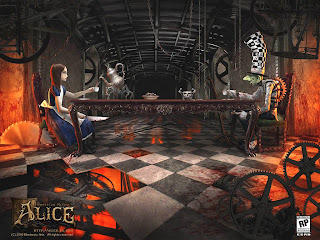 For real inspiration, read one of the books, either Alice's Adventures in Wonderland, where the Mad Hater is most prominent, or the brief mention of Hatta in Through the Looking Glass. Watching the Disney version is okay but saying anything to me about the new Johnny Depp hatter will only get you a look of disdain, or worse, derision. Seeing a play or any of the other movie incarnations count. Highest marks go to actual dress tea parties! So, get a little mad, wear a hat, move down, and have some tea!